The following article is the first of a series about Oklahoma Baptists from around the state who have led and served in various ways. • Position: Pastor of Tulsa, South Tulsa since 2006. 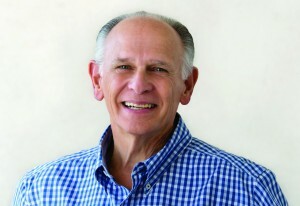 Ted previously served as pastor of Claremore, First, and Oklahoma City, Village. • Convention involvement: Ted has served in a number of leadership capacities in Southern Baptist life in Oklahoma, including having served as Baptist General Convention of Oklahoma (BGCO) president and on the BGCO Board of Directors. Tulsa, South Tulsa, is a leading giver to the Cooperative Program (CP) and, in 2013, was a top 10 CP pacesetter for churches of 800 or more in Sunday School attendance. • Education: After graduating from high school in Miami, Ted began his higher education journey. He received his B.A. degree in history with a double minor in Psychology and Sociology from Southeastern State University in Durant. His seminary education began at Southwestern Seminary in Ft. Worth, Texas. He holds Master of Divinity and Doctor of Ministry degrees from Luther Rice Seminary in Atlanta, Ga.
• Life principles: Ted’s greatest desire is to teach the Bible in a way that can be applied to life. Pastor Ted is an expositional preacher. His heart is to teach the Bible in such a way that everyone in the congregation can walk away with a life changing message. • Passion: Ted’s passion is real revival. He believes revival can happen as the people of God fulfill the command of prayer and holiness according to II Chron. 7:14. Messenger: You have pastored for decades in Oklahoma. What has been the secret to the success God has given you? Kersh: I have been a pastor since I was 19 years old. And today I am 63. And all I can say is the Lord has been very good to us. He has allowed our churches to grow and reach people for Christ. I think the Lord blesses several things in His church. I have tried to major on these things and not be knocked off of them. They are prayer, evangelism, missions, and expositional preaching. Every church I have served has been encouraged to take those four areas of ministry and make them the “DNA” of our ministry. God has been so good to put some wonderful men in my life who have helped me. Some of those men are Cliff Palmer, Ron Dunn, Stephen Olford and Tom Elliff. God used each of those men in strategic ways to mold my life and ministry. Messenger: You recently announced your forthcoming retiring from your role as pastor of Tulsa, South Tulsa. Can you talk about that transition? Kersh: About two years ago, the Lord began to show me that He had a plan for Jerri and me during our retirement years. I thought that plan would develop in four or five years. But under the leadership of the Lord, we started a ministry called Equipped By His Word, developed to lead Bible conferences, Deacon Retreats and a way to encourage pastors by providing Pastor Encouragers Conferences. The ministry has simply grown. And the time came in the last several months where I had to make a decision to either put Equipped on the back burner of our plans or go ahead and lead it full time. It was becoming more and more difficult to be the pastor I needed to be and lead Equipped the way I felt the Lord wanted it led. To put (Equipped) down did not at all seem like the thing to do. So it became obvious that we needed to make the transition from being Pastor at South Tulsa Baptist Church to leading Equipped. I shared with our church leaders what the Lord was leading me to do several months ago, and in June with our church family. So on Jan. 11, 2015 I will preach my last sermon as pastor of South Tulsa Baptist Church. It is bittersweet. We plan to remain members of South Tulsa. Messenger: Recently, you wrote a book titled The Blessed Life. What fruit has come of this, and how does it tie into your ministry, Equipped by His Word? Kersh: The Lord has been so good to let me write The Blessed Life. It is a book on The Sermon on the Mount. Jesus preached The Sermon on the Mount to help us get through all the storms of life. And the book is written with that in mind. As pastors have read the book, they have invited me to come to their churches and preach a series of expositional messages from The Sermon on the Mount. We call these Blessed Life Conferences. So far, we have been in four different churches with The Blessed Life conferences. Whether the church is small or large, everyone has storms in their life. Messenger: You have played a key role in the life of Southern Baptists of Oklahoma. Reflecting back on your years of service and thinking ahead to the future of the SBC, what gives you cause to be optimistic for Oklahoma? Kersh: I am very optimistic because of the young pastors I am meeting. When I was a young pastor in Oklahoma, we had a large group of men who were all about the same age. We supported each other and had a vision for our state. I think the Lord honored that vision. Today, I see that same thing happening with young pastors. They love the Lord and love His Word. Some of our young pastors are visionaries. God is going to use them in a mighty way. I want to be there to encourage them and pray for them. I want to encourage their churches to make the needed changes we will need to make to reach this next generation. I am very excited about young pastors. I want to bless them and encourage them. Note: The biographical information was obtained from www.southtulsabaptist.org. Look for more “Know Your Oklahoma Baptists” profiles in future editions of the Baptist Messenger.